Dear PetRescue, your problem isn’t me. Your problem is you can’t be trusted. In 2016 PetRescue ran in their words “a fundraising and adoption drive at the same time”. Rescue groups would get the “exposure” and PetRescue would keep the money. For what? Web development. The success of the Adoptables fundraising campaign means we are able to begin development of the long-awaited Matchmakers Project - an innovative tech solution to lighten the workload of rescue group members, cut down the number of unsuitable applications, improve the experience for all potential pet adopters and find the right home for pets faster. "Thanks to your awesome kindness, we now have enough funds for PetRescue’s 2017 national pet adoption drive and the next phase of the Matchmakers Project to help find homes for 130,000 pets!" These two campaigns sent two clear message to rescue groups. 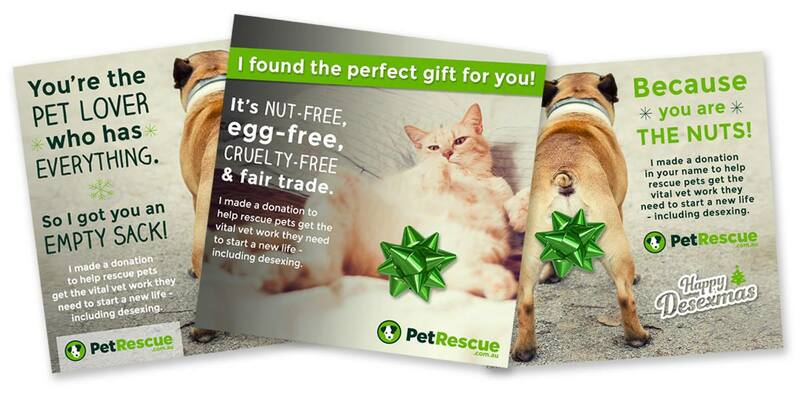 PetRescue believes that the have an entitlement to the donors who give for animal care. PetRescue believe it's appropriate to collect animal care donations and redirect them into web development. 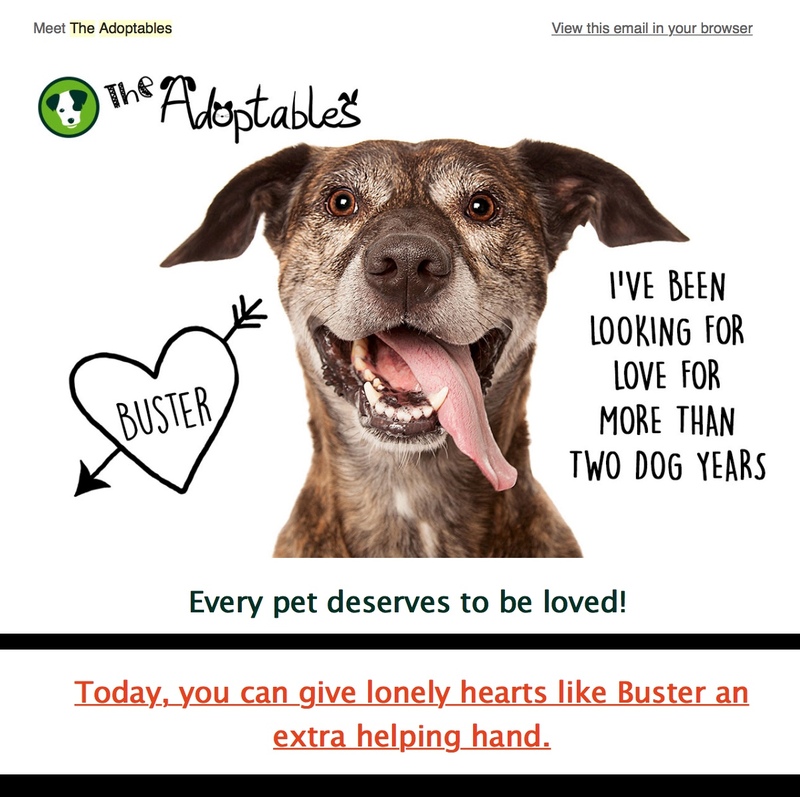 Both "The Adoptables" campaigns took the stories of individual pets, talked about their special needs and requirements and asked for a donation to help them. That donation was then banked in PetRescue's web development budget. "The Adoptables" marked a new direction for PetRescue and a new way of thinking about their role in the rescue movement. Rather than be an umbrella group which worked to build rescue group's capacity, they are now asserting that their organisation is just as much a part of a rescue pet’s journey to a new home, as the rescue group who saved, transported, vet treated, desexed, found a carer, fed and rehabbed a pet. And since they're so "important", that's it's totally fine for them to solicit animal care donations, while not caring for animals. And these beliefs are becoming more entrenched over time, as emphasised by PetRescue's latest campaign which collects money for desexing. Except not for desexing, but for the development of a web-based donation platform. PetRescue is again taking money earmarked for desexing (animal care) and are planning to invest it in web development. They're hoping to raise anything up to $100,000, and will put it into a new donation platform which they propose will, some time in 2018, start generating revenue for rescue groups and animal care. And this is where rescue groups need to think long and hard about what this means. Most rescue groups who accept donations, already have a donation platform that they use. 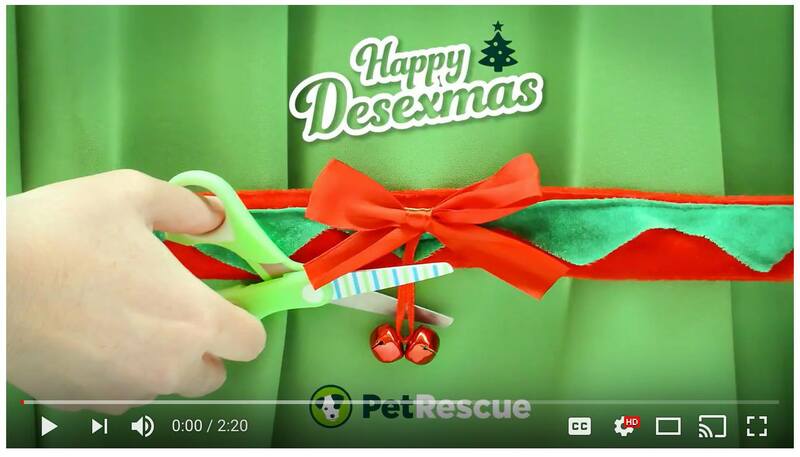 If PetRescue were serious about helping direct animal care donations to rescue groups, they could simply invite rescue groups to link to their exisiting platforms. AND they could invite people to donate directly to rescue groups in regular campaigns featuring rescue groups. But instead, they're building a new platform to collect "animal care" donations. If rescue groups think they're going to be getting a good deal once this new platform is up and running, they're being horribly naive. 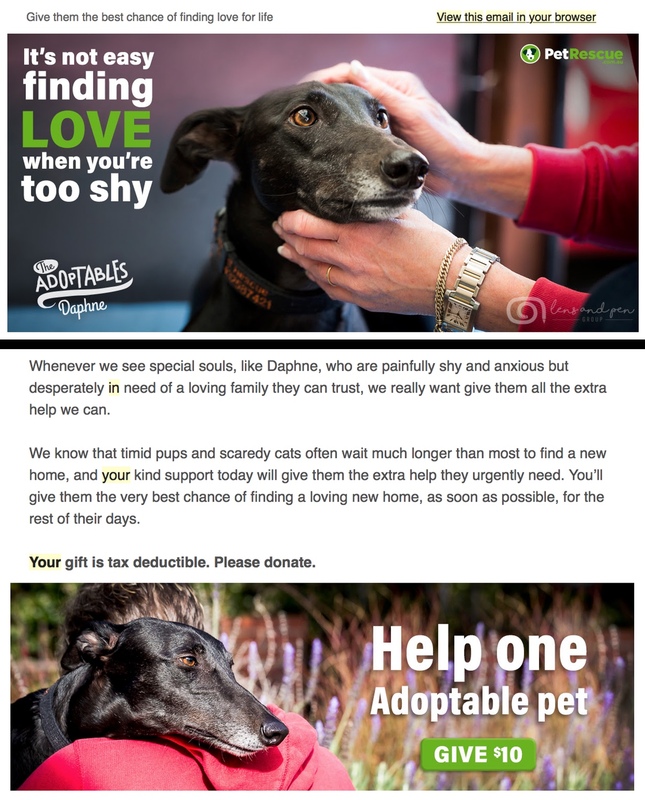 If PetRescue feels entitled to bank money for special needs pets, and desexing, it would be hard to believe all direct-to-rescue donations will be safe from being redirected into their coffers too. .. to tell them to ignore discussions about their new campaign and its impact on rescue groups. They doubled down on their decision to pitch for desexing donations and instead blamed me personally for their current woes. It's the old ...I'm rubber, you're glue... defence. If you don't like the message, attack the reputation of the messenger. But I'm not PetRescue's problem. The problem they're facing is that their new strategic direction is out of step with the rescue community. No rescue group would defend PetRescue's right to take donors and donations intended for animal care. Nor would any rescue group argue in defence of animal care donations being invested instead in new bells and whistles on the PetRescue's website. And they almost certainly won't stand by supporting an organisation who is working hard to expand their capacity to further rob rescue groups of the money they need to keep caring for pets. It is devastating to see such an awesome organisation like PetRescue lost to greed and a lack of long-term vision. However, with rescue groups working hard behind the scenes, now energised to develop alternatives, it might just propel the rescue movement into a more sustainable and less centralised future which will probably prove to be a good thing. 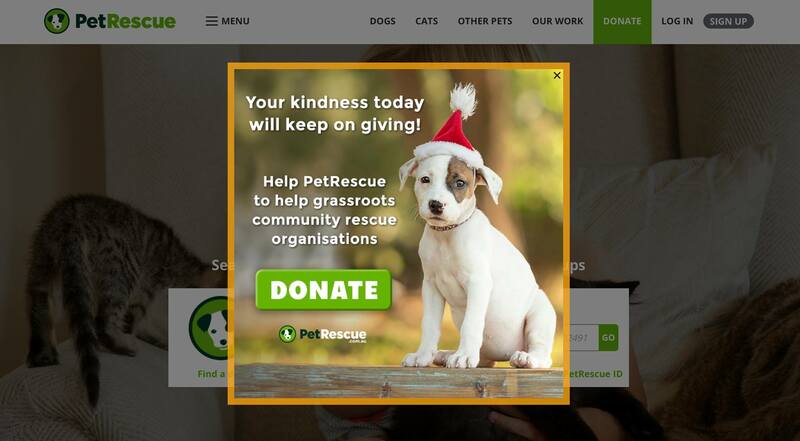 *After being criticised in 2017 for keeping money intended for rescue pets, PetRescue gave one days fundraising to the rescue groups whose special-needs pets featured in the campaign. The final total was $178,705 to PetRescue, $55,000 to rescue.